Digital transformation: No longer a matter of "if," but "when"
You've heard or read about digital transformation. 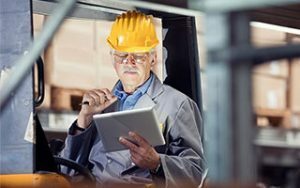 If you haven't actively embarked on the digitization of your maintenance department already, you're probably pondering it. Most experts agree that, regardless of your industry, employing digital technologies is no longer an "if"; it's a "when." As Forbes notes in Seven Ways to Implement a Digital Transformation: "...it is widely accepted that adoption of relevant capabilities is the way forward and most CEOs and CTOs are actively thinking about their next steps. While there's a clear intent to make better use of digital technologies, however, not many leaders are able to progress beyond step one, resulting in false starts at best and loss of leadership credibility at worst." So the looming question remains: How do you get started? The Forbes article suggests seven steps ranging from defining what "digital" means for your organization to identifying results that tie back to your overall business strategy. But going down the wrong path will be expensive in terms of both time and money. Having an experienced partner to lead the way could make a significant difference in your comfort level and confidence in the outcome. Infor and Capgemini will be discussing how you can ease the transition in their February 15 webinar: "Transforming Maintenance Management through Digitization." The two companies have created a strategic partnership to help organizations find the straightest path to digital transformation--a route that will vary based on each unique set of circumstances. Chris Dahl, CIO of Flint Hills Resources, a Koch Industries company, will talk about his company's current initiatives and plans for digitization, and how FHR is leveraging the Infor/Capgemini partnership to make them happen. Reserve your spot in the webinar to learn from a peer and determine the next steps in your own digital journey.